This is a delightful collection of six timeless classic stories to enchant and delight in a luxurious, traditional cloth binding. 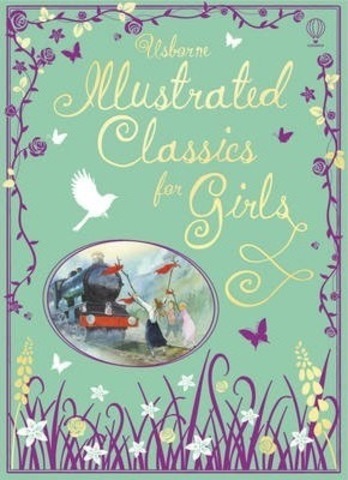 Stories include: The Story of Heidi, Little Women, The Railway Children, Black Beauty, The Secret Garden and The Wizard of Oz, retold for today's readers. It is a brilliant gift that is sure to become a family heirloom. It is beautifully bound in a traditional style with real cloth, head and tail bands, a ribbon marker and foil blocking. It is shrink-wrapped for protection.